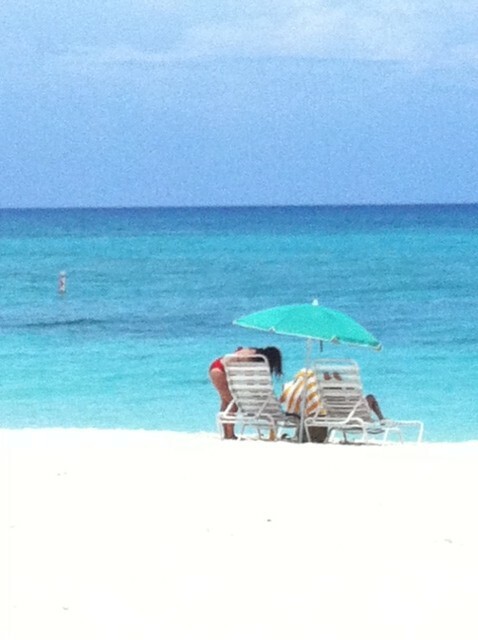 You want to know what all inclusive Caribbean cruise packages include, and I understand. Let me help you. As a family man, I know that you are very eager to know if your cruise package includes enough for your family's comfort and enjoyment. Also, I know how daunting a task it can be to consider buying an inclusive cruise package. The cruise price - scary! That's true sometimes, but not always. Generally, the price you pay for a family cruise package includes the fare, taxes and port charges and there are many other things thrown in to make for a great Caribbean family vacation. 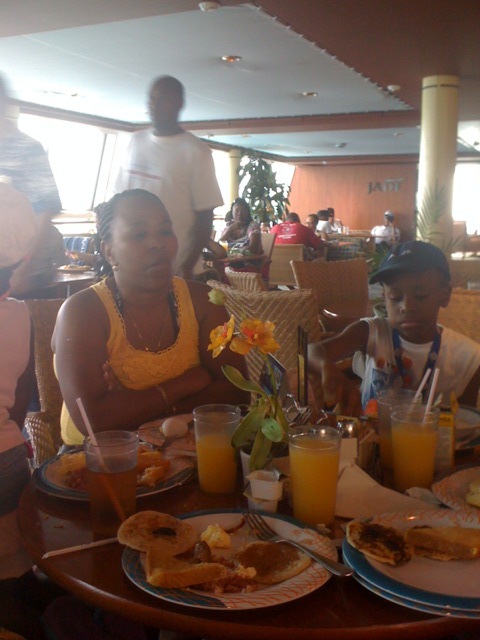 Before we dive into all the things that are included in family Caribbean cruise packages, you will be happy to know that if your family is more than two (2), you will get a break off the price for every person after the second one in your party - if you stay in the same cabin. You will secure what is called a discount cruise vacation. Here's an example: If a 4 day cruise starts at $350 per person, the first two persons in a cabin will pay that amount. However, if there are others in the same cabin, the price for the third and fourth persons will in most cases be less, sometimes close to 50% less. Now that's a nice break! Cool, right? Please note, however, that there are instances in which the first price shown for a cabin will jump to a higher one, if there are more than two people in the cabin. But, every person after the first two, will still pay less. You do not have to spend another dime on the ship, except for those cruise lines that charge a mandatory gratuity. 1. Your Cabin or Stateroom: This may be an inside cabin (having no window); an ocean-view cabin (having a porthole or window to the sea); a balcony (a cabin that opens to a balcony); or a suite (best and most spacious cabin of all). Cabins come in different sizes and hold as many as 5 passengers. The inside cabin is the smallest. 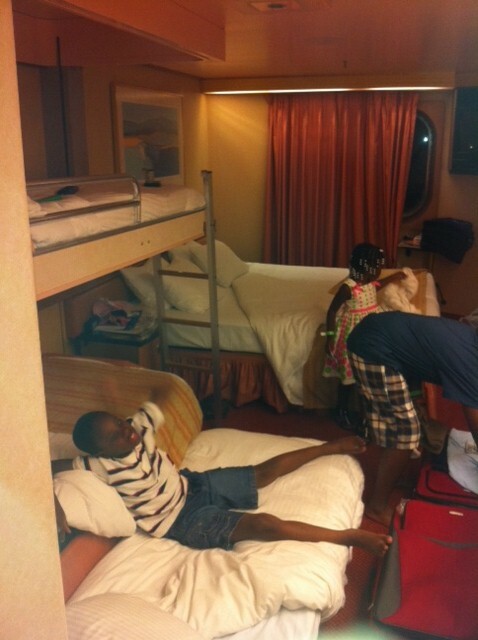 Cruise ship cabins generally contain twin or bunk-beds, a television, a vanity area, a closet and a restroom with shower, mirror and a commode. While the cruise ship's cabin is comfortable, (especially for a smaller number of people), you are reminded that you're not at home. However, you make the most of it. The important thing to remember is that you will spend most of your time outside the cabin. That's your reason for cruising in the first place - right? One other thing to remember is that your price is generally impacted by the cabin you choose. An interior cabin and sometimes a "guaranteed cabin" will cost less than the others. 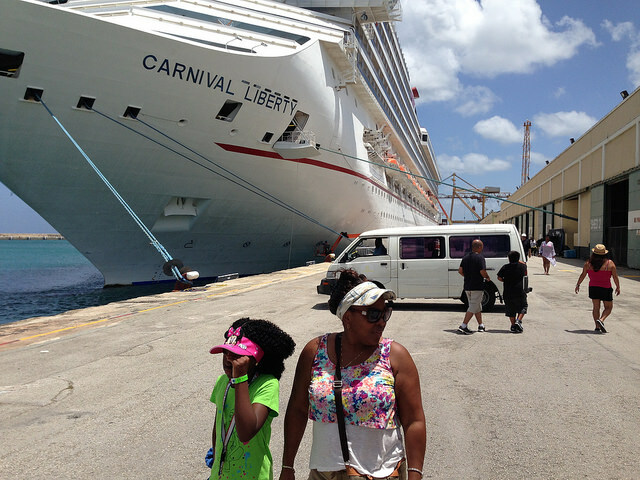 Click here to find family cruise packages. 2. Your Cruise Food: Yes, your all inclusive Caribbean cruise package includes your meals - and there are many of them and lots of food. There are the expected three meals - breakfast, lunch and dinner - but then there are meals in between. And golly, there is lots of food - too much - I believe! What is your preference? 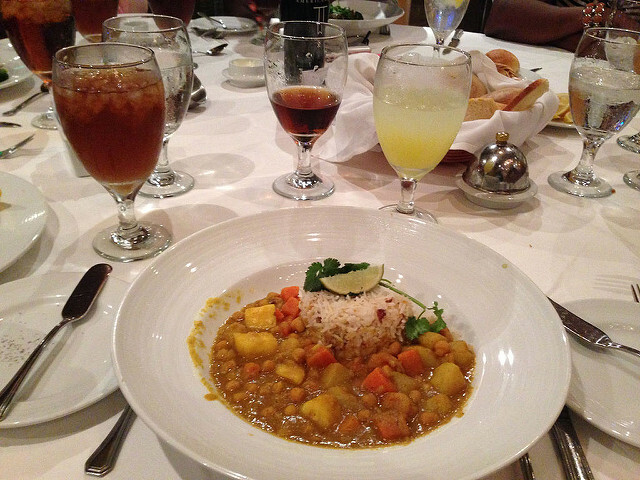 Do you like Caribbean cuisine, French cuisine, Indian cuisine, Chinese cuisine, American cuisine, and then some? Depending on which cruise line you sail, you will find a combination of cuisines. You may choose to eat in a formal-type restaurant or in a general setting - buffet style. (See Carnival Destiny Dining Options). My wife loves formal dining, while I prefer a mixture. Whenever we cruise, we divide our meals between formal and general dining. However, if you want neither one, you may opt for room service. Yes, this is also included in all inclusive Caribbean cruise packages. 3. 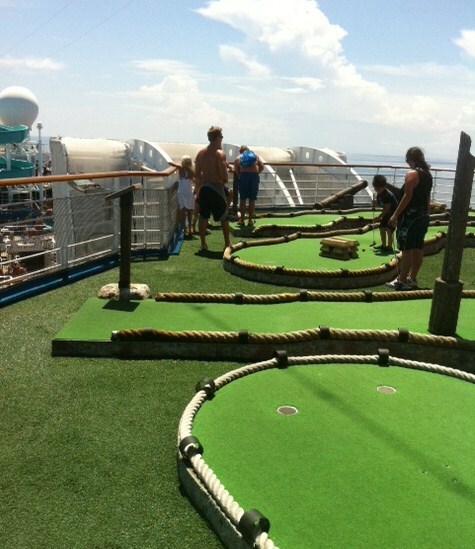 Caribbean Cruise Activities: What about things to do on the ship? There are many things to do onboard and not enough time. Picture the cruise ship as a luxury resort with all its accompaniments. Do you wish to maintain your workout routine? Visit the fitness center. Or, if you prefer to jog, use the track. Do you wish to hang out in a pool or hot tub? There are usually choices. Just pick one. It is included in your Caribbean cruise package. Are you more of the indoor type? Visit the library, get a group together and play cards, or inspect art work. You may even wish to watch a movie on the big screen (bigger than the TV in your cabin :-)). Just do that. There are also activities which are organized by your cruise director on a daily basis. If you can keep up, then go for it. 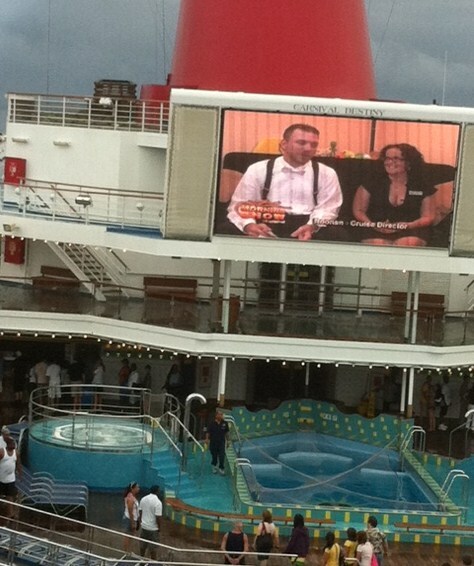 Check out some of Carnival Destiny top activities here. (Carnival Destiny is now Carnival Sunshine). 4. 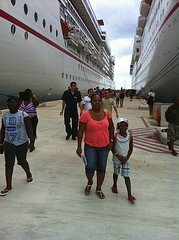 Caribbean Cruise Kids' Activities: So, what about our kids? Well, as I pointed out on the home page, we have taken seven inclusive family Caribbean cruises to date and our kids have been with us every time. 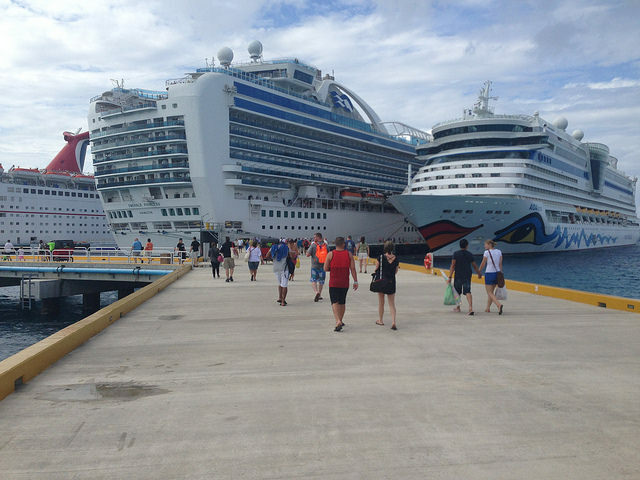 The fact is, each cruise line - Carnival Cruise Lines, Royal Caribbean, Norwegian, Princess Cruises, etc. - makes it a priority to organize fun activities for the children. If fact, the kids have their own camps, club houses, lounges, etc. and are assigned counselors who guide, teach, get them involved and entertain them, while you get a chance to hang out with your special someone. Cool, right? 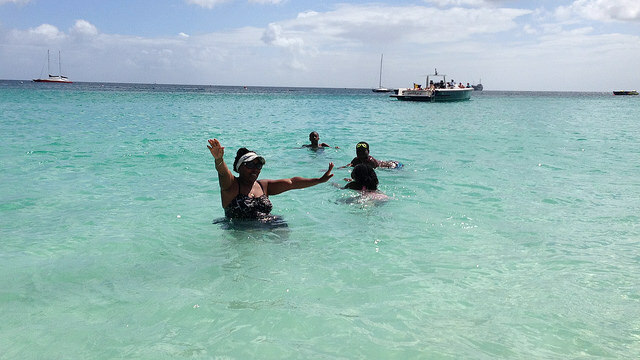 Yes, baby-sitters, counselors rather, are all thrown into your Caribbean cruise packages! While the kids camps are for the youngest children to the younger teenagers, the older children have other activities to choose from: ping pong, rock climbing, basketball courts, video game arcades, and other games. Your kids will love it! Ours do - every time! 5. Caribbean Cruise Entertainment: Yes, your all inclusive Caribbean cruise package also includes entertainment. Each cruise ship contains several lounges in which many kinds of fun programs occur - karaoke, couples games, singles games, magic shows, comedy shows and more. There is also a huge theater where Las Vegas type shows are performed. Generally, each cruise ship has its own set of performers as well as invited guests who entertain the cruise passengers each night. There is also a special group that performs throughout the day in the pool area. Imagine, you are wined and dined and entertained like you're in Las Vegas and it's all included in your Caribbean cruise package. The fact is, the cruise lines make a sterling effort to cover all their bases to ensure that when you elect to join them on the "high seas" you will not want to leave them. 6. 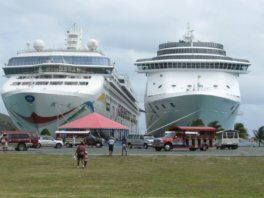 Ports of Call - Fun Destinations - Finally, remember that each Caribbean cruise makes two or more stops at beautiful Caribbean islands, Bahamian, or Mexican ports. 3 day Caribbean cruises will make 1 or 2 stops; 4 day Caribbean cruises will make 2 stops; a 5 day cruise will make 2 or 3 stops; and 7 day Caribbean cruises will make 3 or 4 stops. You will have many opportunities to visit the beach, interact with Caribbean natives or shop from the vendors - many of them - and many duty free goods. Use the Search Box below to find cruise packages. Like everything else in life, some things are just not "free". There are some things excluded from your all inclusive Caribbean cruise package. Below is a list of such items. 1. Spa Treatment - Being massaged at sea is a great idea, but you will pay extra for massages onboard your cruise ship. 2. Soda, Specialty Drinks & Alcoholic Beverages - Your cruise package includes juices, lemonade, milk, tea, etc., but soda, specialty drinks and alcohol incur an additional charge onboard. If you or your children must drink soda, you can reduce the amount spent on that item by buying a soda plan. Prices vary by cruise line. 3. Casino - For those looking to win some money (or lose some) at sea, the casino is excluded from your Caribbean cruise package. You must pay separately for casino chips. 4. Bingo - This is a common game on all inclusive Caribbean cruises, but it requires additional money to play. 5. Game Arcades - Arcades are provided for kids of all ages, but the tokens must be bought. 6. Internet Service Onboard - If you wish to stay connected while at sea, then prepare to pay for it. 7. Specialty Restaurants - In addition to the all meals included with your cruise ticket, there are specialty restaurants onboard the ships. These incur a cover charge. 8. Shore Excursions - There are great things to do at each Caribbean port of call, but shore excursions are excluded from your all inclusive Caribbean cruise package and must be bought separately. Here is a suggestion that will help. Check for shore excursions before you sail and you may save some money. 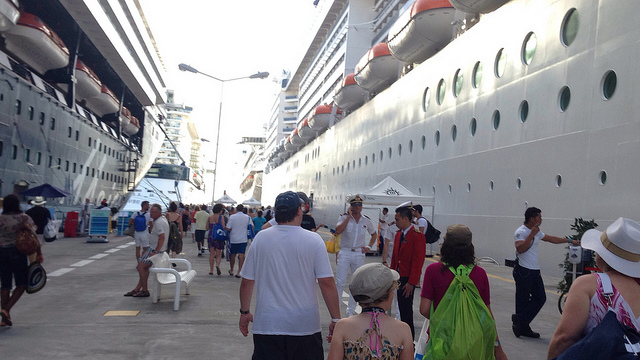 There are companies that offer cheaper packages than you will find onboard your cruise ship. Regardless of the few items excluded, your all inclusive Caribbean cruise package contains enough to give your family an unforgettable time at sea. Click this link to learn how to find the best cruise prices to the Caribbean.